If you asked Florida growers to sum up the state of the current industry in just a few words, one most certainly to get blurted out would be “labor.” This issue, among a few others, was top of mind for participants of a grower panel during last week’s 2015 Florida Ag Expo at the UF/IFAS Gulf Coast Research and Education Center. The annual one-day event was celebrating its 10th year. The panel featured Tres McQuag of Astin Farms, Elvie Engle of Del Monte, Jay Sizemore of Jaymar Produce, and Leonard Batti of Taylor Farms. Panel moderator, Mike Stuart, FFVA, kicked off the session by asking panelists: “What keeps you up at night?” Across the board, the availability of farm labor has been causing the most concern. “It’s a struggle to get labor and a struggle to get them to do what you want (and need),” Engle said. Probably one of the most noteworthy exchanges came from the audience when a well-meaning member asked the panel why not hire college students to pick produce since they are always looking to earn extra spending money. After similar responses (“we’ve tried that to no avail”) from several of the panelists, as well as the moderator, longtime local berry grower Carl Grooms of Fancy Farms spoke up. “We’re not here to pay someone’s gas money. We’re trying to run a business.” That concise statement put a cap on the discussion. Stay tuned for extended coverage featuring more highlights from this panel and several other session standouts. 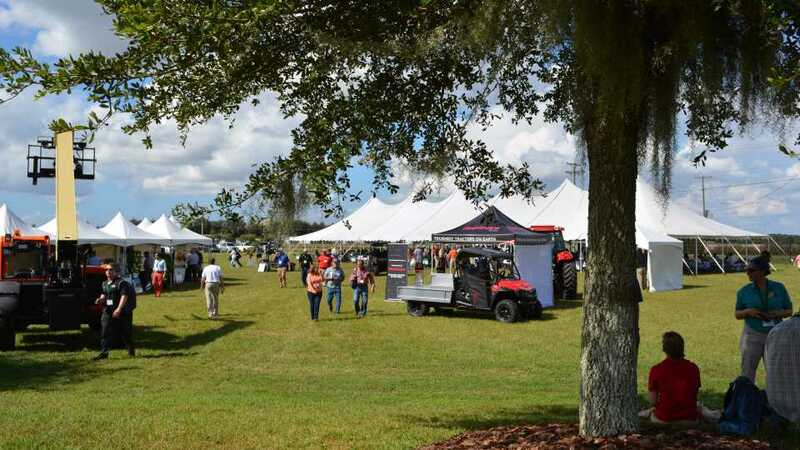 In the meantime, take a virtual tour by scrolling through a gallery of images snapped at the milestone Florida Ag Expo.